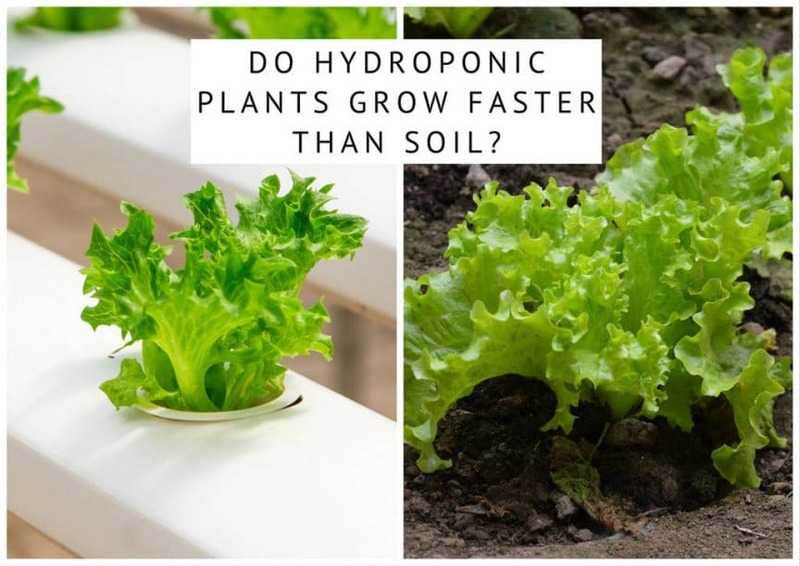 Blog Do Hydroponic Plants Grow Faster Than Soil? You might be thinking about getting started with hydroponic gardening. I was in the same situation a few years ago. Great News: Hydroponic plants grow faster and larger than growing plants in soil and require less space to grow than soil based plants. Hydroponics is the process of growing plants using only water and nutrients and a growing medium to hold the plants in place, rather than growing the plants in soil. This sounds really high tech, but it’s actually not. Although there are historical references to hydroculture that date back as far as the 8th century BC to the Hanging Gardens of Babylon, it was not until the 17th century that scientific research really got underway into the art of growing plants without soil. Francis Bacon’s book, titled “A Natural History”, published in 1627 is the earliest published book on growing plants without soil. It is after this that experiments on growing plants without soil increased in popularity. By the 1840s, a list of essential elements required for healthy plant growth had been determined and the development of hydroponics began to make real progress. The main breakthrough came in 1929 when William Gericke at the University of California demonstrated very successful hydroponic growing uf tomato vines which he grew in a nutrient solution. It was him that coined the term hydroponics which is a neologism of the Greek word “geoponica” which describes broad agricultural activity, and “hydro” meaning water. In the 1930s, there was a successful hydroponic operation on Wake Island which is a small island in the Pacific Ocean, which was used as a refueling stop for Pan American Airlines. There was no soil on Wake Island, and it was extremely expensive to deliver fresh vegetables, so hydroponically growing vegetables was an excellent alternative. Today, there are many commercial hydroponic farming operations, and some major companies, such as Disney World, use these methods to produce the food they need to feed their park visitors. The global hydroponics market has grown slowly but surely over the last few decades and it’s forecast to grow from 226 million USD in 2016 to 724 million USD in 2023. What Are The Benefits Of Growing Plants With Hydroponics? By using hydroponic gardening; you can raise your plants anywhere, as long as their growth requirements are met. Here are some of the benefits specifically for hydroponic gardening. Hydroponic gardening uses 95% less water than soil-based gardening. Crops grow twice as fast in hydroponic gardening. In this controlled environment, your yield is doubled, which leads to twice as much production in the same amount of space. You can use 20% less space compared to soil-based gardens, because plants with small roots may be grown closer to each other. It provides a clean environment for plant production. This means that your hydroponic garden has no need of pesticides, fertilizers or other chemicals because it cannot catch soil-borne diseases or pests. You lose valuable nutrients in soil-based gardens due to run-off. Calcium, phosphorous and potassium content often dissolved in it. However, in hydroponic systems; water may be reused multiple times which conserves water and the expense incurred from it. Hydroponics involves less labor than soil-based gardens, and their upkeep is minimal. You don’t have to deal with soil testing. Hydroponic plants tend to be healthier. Studies show that their vitamin content is 50% higher than conventional plants. Hydroponic harvesting is easier than soil-based gardening. You can grow hydroponic plants all year long. There are plenty of advantages to hydroponic gardening. Why isn’t everyone doing it then? Well, there are a few disadvantages to hydroponic gardening as well. What Are The Disadvantages Of Growing Plants With Hydroponics? The disadvantages of hydroponic gardening are few but significant. The upfront set up cost of a hydroponic system is high. These types of gardens can also be susceptible to a power outage. If this happens, the plants will dry out. Without power, you must water your garden manually. Your plants can be attacked by water-based microorganisms. Maintaining a hydroponic garden requires some technical knowledge. What Types Of Plants Can Be Grown Hydroponically? Not all plants work well in a hydroponic garden. Some plants require a large area to grow and are thereby impractical for hydroponic gardens. Some examples of these are melons, squash, pumpkins, and corn. Another concern you may not realize is that many plants require bees to pollinate them since they have both male and female flower parts. These plants will not grow well hydroponically since there are no bees inside your hydroponic system. You can learn the delicate task of pollinating these plants yourself, but most of these plants will not do as well. 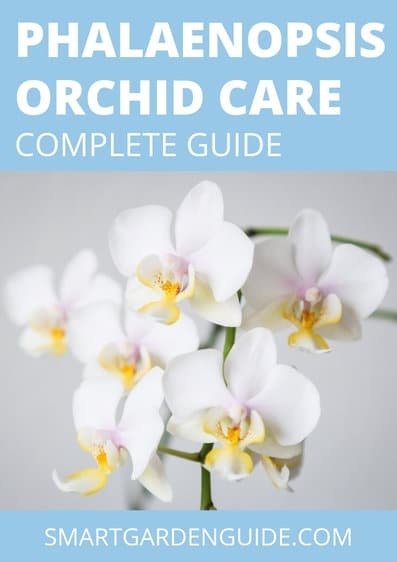 Flowers have a wide variety of growing conditions so you cannot fit multiple flower types into a one-size-fits-all hydroponic system. Flowers require research by individual type to determine if any will work for you. Until you have done the research, it is best to avoid growing flowers hydroponically. Is It Very Complicated To Grow Plants Hydroponically At Home? No, and yes. The amount of complication in your hydroponic setup depends upon your available space, what kind of plants you wish to raise, and how much money you have to invest into a hydroponic system. There are basically six kinds of hydroponic systems you can invest in today. The most basic system is called a deep-water culture. It is a container of nutrient-filled water, with plants floating on top of it. Think of lily pads in a pond. You need an air pump to keep oxygen into the water, but the entire system can be made small and simple with things like storage bins, foam containers, or even a bucket. The storage container doesn’t really matter so long as it is in a place where your plant can get a lot of light. The Wick system is a simple and passive type of hydroponic system. The mechanism of delivering the nutrients and water when using a wick system is that they are drawn in via the growing medium. This system avoids the need to have any pumps to circulate the water and nutrients to your plants. What kind of medium can you keep your plants within this system? There are quite a number of potential materials which can be used as a growing medium for wick system hydroponics. Vermiculite, Perlite, Pro-Mix, and Coconut Fiber are some of the most popular. One potential drawback of wick systems is that large plants or plants that use a lot of water may use up all the nutrient solution quicker than the wick(s) can resupply it. Deep water culture systems are another very simple way of growing plants with hydroponics. The plants are grown in a tank of water and nutrients. The growing medium is often made from a buoyant material so that it is able to float and hold the plants in place, with the leaves above the water and the roots directly in the water and nutrient solution. Deep water culture systems require an air pump to constantly oxygenate the water via an air stone, to provide enough oxygen to the growing roots. Without this, the plants would be unable to survive. Deep water culture systems are some of the easiest to build and can be put together very inexpensively, making them a good starting point if you are looking to have a go at growing plants with hydroponics. If you prefer, however, there are numerous pre-built deep water culture systems available to buy. Deep water culture systems are a great choice for growing leafy greens, and in addition to being a good domestic hydroponic technique, they are in use for commercial growing in many countries around the world. Deep water culture systems are less suited to large plants or plants which are not harvested after a short period of time. The Ebb and Flow system operates by flooding the grow tray with nutrient solution temporarily and then draining it back into the primary reservoir. This is usually done with a submerged pump connected to a timer. The pump is set up so that when the timer turns the pump on, the nutrient solution is pumped out into the grow tray. When the timer runs out, it shuts the pump off, and the nutrient solution flows back into the reservoir. For these systems, the timer is set to turn on and off several times a day. The frequency of these floods depends on the size and type of plants, humidity, temperature, and the kind of growing medium used to hold the plants. The Ebb and Flow system is quite versatile and can be used with many types of growing mediums. The whole grow tray may be filled with grow rocks, gravel or granular Rockwool. Many gardeners use individual pots of growing medium to make it easier to move plants around or even move them in and out of the system entirely. The main disadvantage of Ebb and Flow systems is that they are vulnerable to power outages as well as pump and timer failures. Without regular access to water, the roots dry out quickly. Some kinds of growing media that retain more water, such as Rockwool, Vermiculite, and coconut fiber, but overall, this system requires careful supervision. Drip systems may be the most widely used type of hydroponic system in the world. The concept is similar to growing bean sprouts in cotton in a plastic bag, or even spraying flowers with water to keep them vibrant. Drip systems have a timer that controls a submersed pump. As the timer turns the pump on, the nutrient solution drips onto the bottom of each plant using a small drip line. In a Recovery Drip System, (like the bean sprout in the plastic bag example) the excess nutrient solution that runs off is gathered back to the reservoir for re-use. In Non-Recovery System (like spraying the flowers) the runoff is not collected. The main benefit of a recovery system is that it uses nutrient solution more efficiently. This means you can use a less expensive timer because the system does not require such precise control of the watering cycles. Non-recovery systems need a more precise timer so that watering cycles can be more precisely adjusted to ensure that the plants get sufficient nutrient solution and the runoff is kept down as minimal as possible. The non-recovery system’s main benefit is that it requires less maintenance than recovery systems. Since the excess nutrient solution is not recycled back into the reservoir, the nutrient strength and the pH of the reservoir will not vary. You can fill the reservoir with pH adjusted nutrient solution whenever you want and then forget it until you need to refill it. A recovery system, on the other hand, may have substantial shifts in the nutrient strength and pH levels and requires periodic adjustments. N.F.T. is the kind of growing system most people think of when they picture hydroponics. These systems keep a constant flow of nutrient solution going so there is no timer required for the submersible pump. This nutrient solution is pumped into the growing tray (which is often a tube), and it passes over the roots of the plants, then drains back into the reservoir. It requires no growing medium other than air, which saves the expense of replacing the growing medium after every crop. Often, the plant is supported in something, like a small plastic basket that leaves the roots dangling into the nutrient solution. Even more than the Ebb and Flow systems, N.F.T. systems are very vulnerable to power outages and pump failures. The roots of their plants will dry out very rapidly if the flow of nutrient solution is interrupted. The aeroponic system is probably the most complicated type of hydroponic system. It too, like the N.F.T. system above, uses air as the growing medium. However, instead of having nutrient flowing over the roots in a tube, the roots hang in the air and are gently sprayed with nutrient solution. This usually must be done every few minutes, and, because the roots are exposed to the air, they will dry out rapidly if the spraying cycles are interrupted. This system also requires a timer that controls the nutrient pump much like other types of hydroponic systems. The difference is that the aeroponic system needs a short cycle timer that will run the pump once for just a few seconds every two or three minutes. Are There Any Ready-Made Systems To Make Hydroponic Growing Easy? Are you interested in hydroponics but not quite ready to build your own system? There are plenty of ready-made ones you can purchase. You really don’t have to spend much money to get started with a simple small scale hydroponic system. If you’re looking for something a bit more adventurous, here are some are aquaponic systems, which use fish in the water to help create the nutrients the plants need. If you search online, you will also find countless designs of hydroponic systems that you can build yourself at home. Here is a Pinterest board where you can browse and get inspired.